The learning doesn't have to stop as school year comes to an end. Informatics Philippines I.T. summer courses empower kids by providing engaging programs that deliver a fun learning experience unlike any other. Ms. Charlynne S. Ebetuer (Vice President for Academics) and Ms. Katrina N. Pastor (Vice President for Marketing) shared what kids and teens can expect from this summer during a media briefing held at Cafe Enye last April 7, 2016. Enrolling your children at Informatics Philippines will allow you to share your love for tech. They can learn more about Computer Programming, Digital Media, Computer Game Design, Web Design, Mobile App Development, Digital Animation, Microsoft Office Experts, Development Reading and Creative Writing, and Small Enterprise. Kids with ages 7 to 15 can take as many classes as they can handle throughout the summer. Each course covers a total of 22 hours. 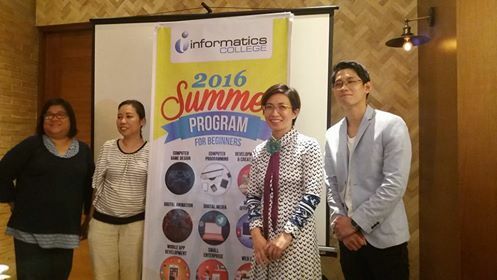 Informatics Philippines' cutting-edge curriculum and personalized instruction will help build valuable STEM skills, reinforce their interest in technology and eventually help them gain a competitive edge for school, college, and beyond. Summer courses like these will help empower the next generation of coders, app developers, game designers, engineers, and innovators. And as the leading I.T. school in the country, you will be assured that what kids learn matters. These "real-world" tech courses will teach them problem-solving skills, enhance creativity, and give them enjoyable summer activities to remember. 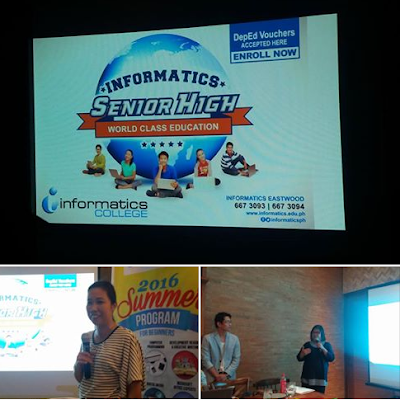 These information technology courses are offered at Informatics College Eastwood branch this summer. Get up to 30% discount when you register on or before April 15. Classes commence on April 25th. 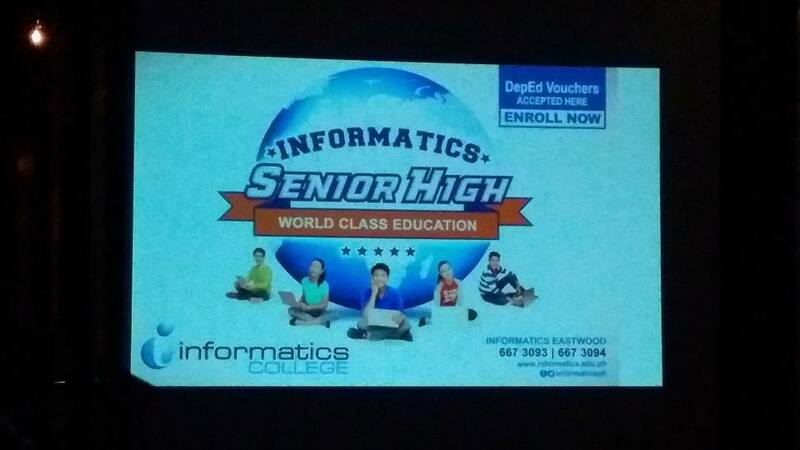 Moreover, registration for Informatics College Senior High School program is now ongoing. The 11th and 12th Grade subjects will automatically be credited to Freshman and Sophomore year levels in BSIT. This means that students earn their college degree in a faster way as they will only need 2 more years to complete a BSIT degree after Senior High School at Informatics! Enroll now and see the Informatics IT difference!